If you are an environmentalist then you’re aware about the damage that the plastics make to the planet. Here are some facts about plastics that will make you think about it once again and make you sure that you’ve done the right thing when you decided to go green. Plastic needs about 450 just to start decomposing. Then, it takes another 50-80 years to decompose completely. That means that every single produced piece of plastic has not decomposed yet. The average American consumed 1.6 gallons of bottled water in 1976. In 2006, that number jumped to 28.3 gallons. Fortunately, the total weight of the bottles was reduced during that period. Even 40% of the total house plastic waste of average American family is due to the use of plastic bottles. Polyethylene terephthalate (PET) - 23% of all plastic bottles. This type is also used to package boil-in-bag foods, meat, cosmetics, and carbonated soft drinks. 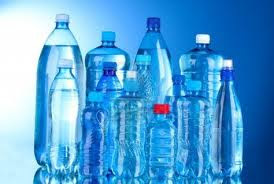 High-density polyethylene (HDPE) is used to make 62% of all plastic bottles, most commonly containing milk, detergents, shampoos, pharmaceuticals, juices, bottled water and antifreeze. In 1987, the U.S. used almost 1 billion barrels of oil, just to make plastics. Over 46,000 pieces of plastic debris float on every square mile of ocean. Although polystyrene foam (commonly known as Styrofoam) is completely non-biodegradable, it is recyclable. If you lined up all the polystyrene foam cups made in just one day, they would circle the earth. According to Dr. Miligram, a plastics analyst, "Recycling plastics saves twice as much energy as burning them." Americans use 4 million plastic bottles every hour!-Yet only 1 bottle out of 4 is recycled. Americans make enough low-density polyethylene (LDPE) plastic every year to shrink-wrap the state of Texas. Most of it ends up in landfills. Plastics are part of the waste stream: although they account for only 8% of the waste by weight, they occupy about 20% of the volume in a landfill due to their low bulk density. In 1988 we used 2 billion pounds of HDPE just to make bottles for household products. That's about the weight of 900,000 Honda Civics. 2-liter bottles from 67 grams on average to about 48 grams; a 28% reduction. Another interesting fact about plastics and your money: 90% of the price you pay for the bottled water goes to the plastic bottle, while the water cost you only 10% of the money you give. The average American buys 167 bottles of water per year, avoiding using any alternatives. 24 million gallons of oil are needed for producing of billion plastic bottles. Only 25 recycled bottles are enough to make one adult’s fleece jacket. It takes 5 recycled two-liter bottles to make enough fiberfill for one ski jacket. It takes 1,050 recycled milk jugs to make a 6-foot plastic park bench. About nine billion plastic bottles are produced annually in the U.S. about two-thirds of which end up in landfills or incinerators. Most of the rest go to Wellman Inc. a recycling facility in South Carolina. Wellman annually recycled about 2.4 billion plastic bottles into a polyester fiber known as Fortrel EcoSpun, which ends up in active wear. In recent years the plastic recycling business in the United States is nearly tripled. There are more than 1600 businesses involved in recycling plastics. However, the recycling rate remains steady at 27% (in United States), as the production of the plastics grows. Recycling plastics can save up to 2/3 of the needed energy for producing plastic from raw materials.